Lohr was four years old when she first appeared on stage in her birthplace of Sydney, Australia. 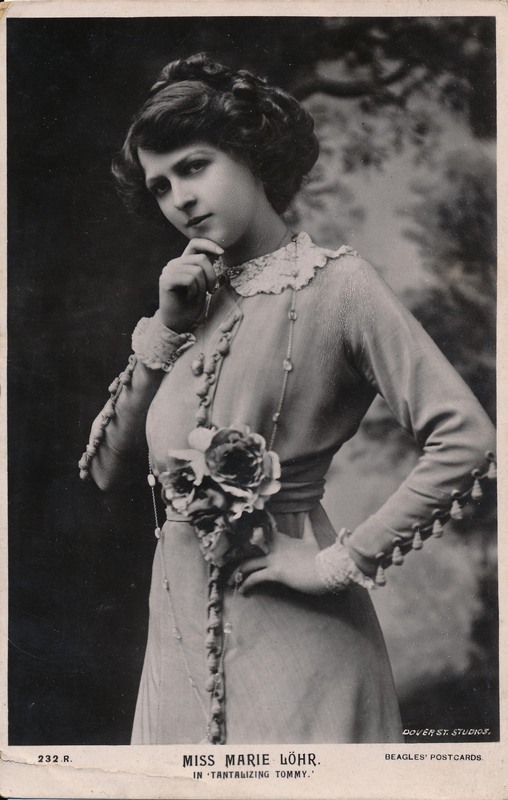 Her family moved to England, and she played at the Garrick Theatre in 1901 when she was eleven. 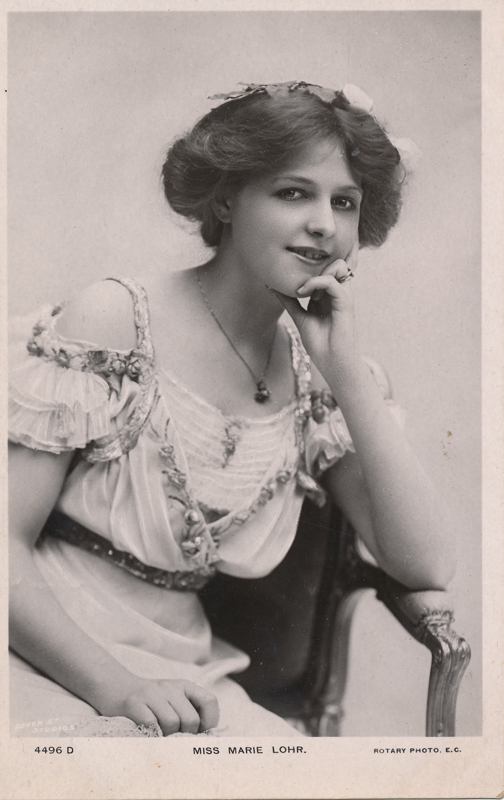 Lohr married Anthony Leyland Val Prinsep and from 1918 to 1927, they co-managed the Globe Theatre in London. 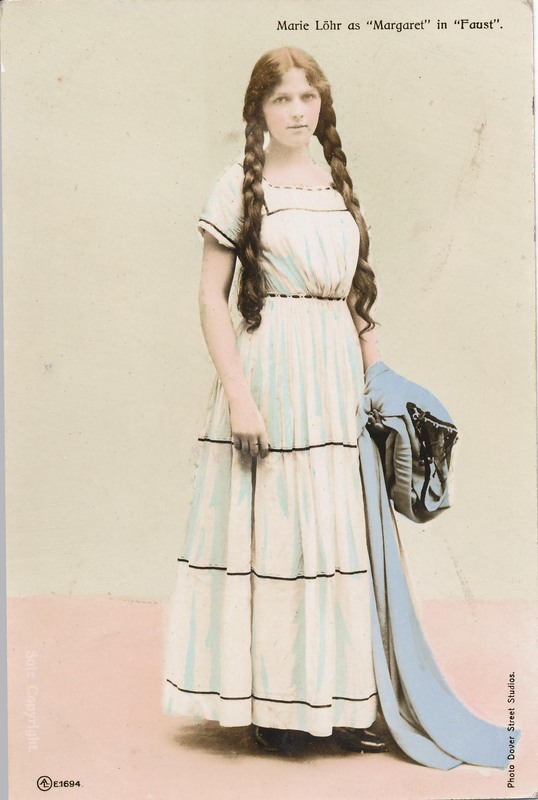 She was in dozens of stage performances in a long and busy career, including, between 1916 and 1968, fifty motion pictures. 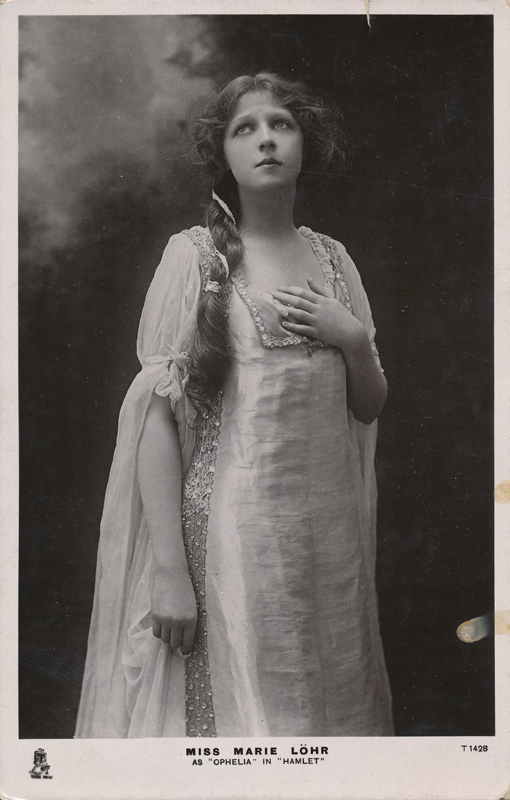 She played only one Shakespeare role, Ophelia in Hamlet at Tree‘s His Majesty’s Theatre in London in 1909. Lohr passed away in 1975 after retiring from an acting career lasting over seventy years.